This international, peer-reviewed weekend event will be held in partnership with the 3rd International Conference on Disaster Response and Management (DREAM 2017) and the 3rd Conference on Sustainable Tourism in Asia (COSTA 2017). Hiroshima (広島市? 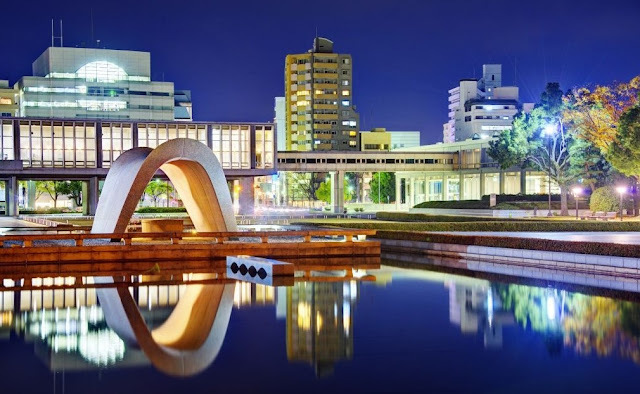 Hiroshima-shi, Japanese: [çiɾoɕimaɕi]) is the capital of Hiroshima Prefecture and the largest city in the Chūgoku region of western Honshu - the largest island of Japan. The city's name, 広島, means "Broad Island" in Japanese. Hiroshima gained city status on April 1, 1889. On April 1, 1980, Hiroshima became a designated city. As of August 2016, the city had an estimated population of 1,196,274. The GDP in Greater Hiroshima, Hiroshima Metropolitan Employment Area, is US$61.3 billion as of 2010. Kazumi Matsui has been the city's mayor since April 2011. Hiroshima is best known as the first city in history to be targeted by a nuclear weapon when the United States Army Air Forces (USAAF) dropped an atomic bomb on the city (and later on Nagasaki) at 8:15 a.m. on August 6, 1945, near the end of World War II.